The repricing and speed upgrading to old ADSL prices & plans has been started from 1st April 2018. Bundle service is now available for those who are using MPT ADSL/FTTH service and mobile together. Annual Fee free since from 1st April 2018. The prices are inclusive of commercial tax. Free email accounts will only be provided upon customer request. 1. What is ADSL speed upgrading and repricing? 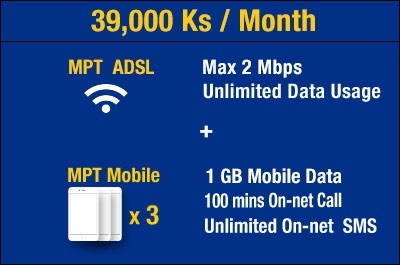 MPT is changing ADSL tariff and upgrade speed, started from 1st April 2018. With this, all the subscribers can enjoy faster speed at cheaper annual cost. We also waive 52,500 Ks of annual fee, starting from 1st April , 2018 together with the speed upgrading and waiver of annual fee 52,500 kyats. 2. When will new ADSL price be effective? The new ADSL price will be effective from 1st April, 2018. 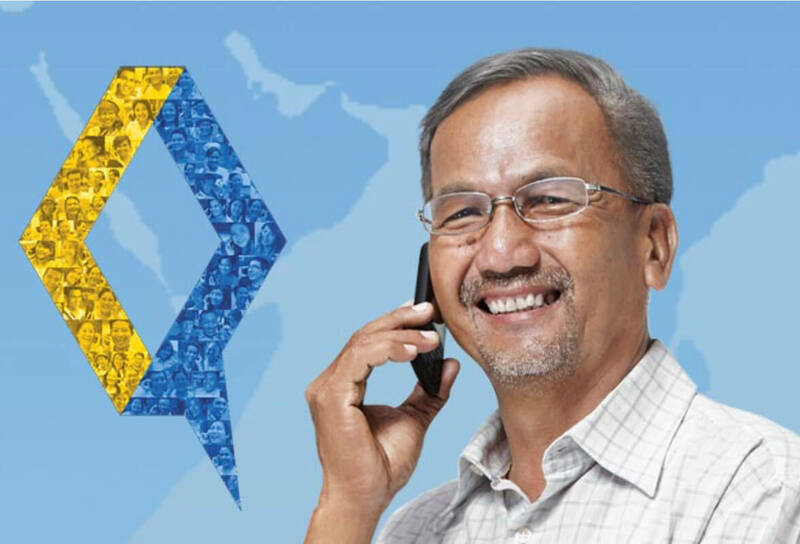 As ADSL service is on postpaid contract, you will still receive an invoice with old price in April for the service you received in March. In May, when you receive your invoice for the service in April, new price will be shown on it. 3. What will happen to existing 512Kbps, 1Mbps, 1.5Mbps, 2Mbps and 2.5Mbps customers? Existing customer can still enjoy the ADSL service, however, the prices will be changed to new prices and annual fee will be waived. Speed upgrading for existing customers has been processing. Previously customer paid higher cost due to annual fee. Customer can now enjoy higher speed with less costly for annually. 4. What are the benefits for repricing and upgrading? Previous 512Kbps, 1Mbps & 1.5Mbps customer can enjoy double the speed and 2Mbps and 2.5Mbps subscribers can enjoy 3Mbps with the saving of up to 400,500 kyats annually. 5. How will the speed be changed/upgraded? 512Kbps customer will be 1Mbps. 1Mbps customer will be 2Mbps. 1.5Mbps customer will be 3Mbps. 2Mbps customer will be 3Mbps. 2.5Mbps customer will be 3Mbps.